that I play along with the joke. 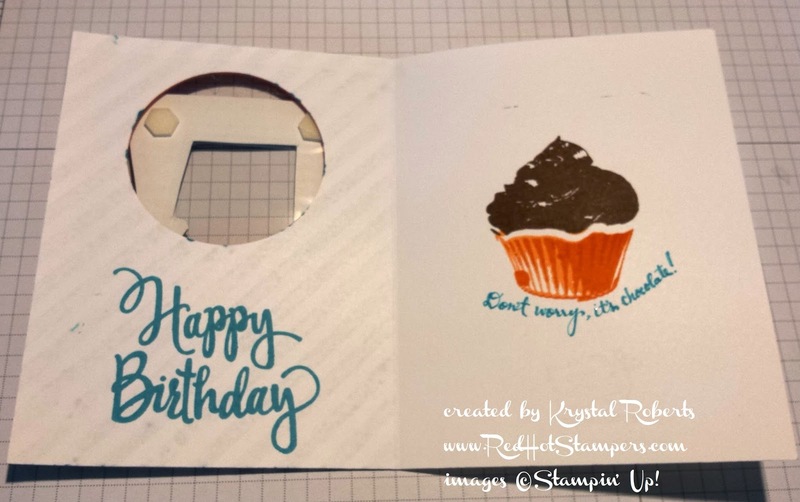 Here is her birthday card. It is hilarious and she loved it. It totally made her day. 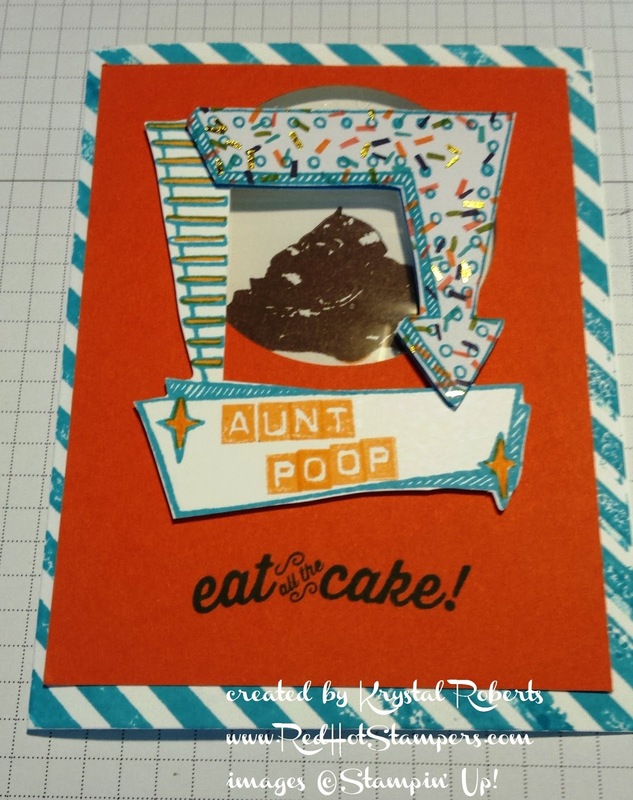 The idea of using the Sweet Cupcake set as... a joke... was inspired by a notecard made by Shannon West. This card popped into my head and I had just a few hours to turn the idea from my head into an actual card and get it in the mail once my big order arrived. Total success. She received it ON her birthday! (That never happens!) I was in a rush, but am still very pleased with how it turned out. The only thing I would change would be to stamp and cut out TWO of the images from the Marquee Messages set so the inside window looked a bit more finished. I think she should hang it up as a work of art.